I take a brown bag lunch to work and I was getting sick of lunch meat sandwiches. But what to take instead? When my summer issue of Celebrate magazine came in the mail, I had my answer. Grilled Chicken Sandwiches with Spicy Cilantro Aioli. They looked delicious and easy to make. Off to the store I went to gather the ingredients I would need. The sandwich turned out to be just as delicious as the recipe sounded. A few tweeks were made. My husband sprinkled Mrs. Dash Extra Spicy Seasoning on all the chicken breasts and grilled them. 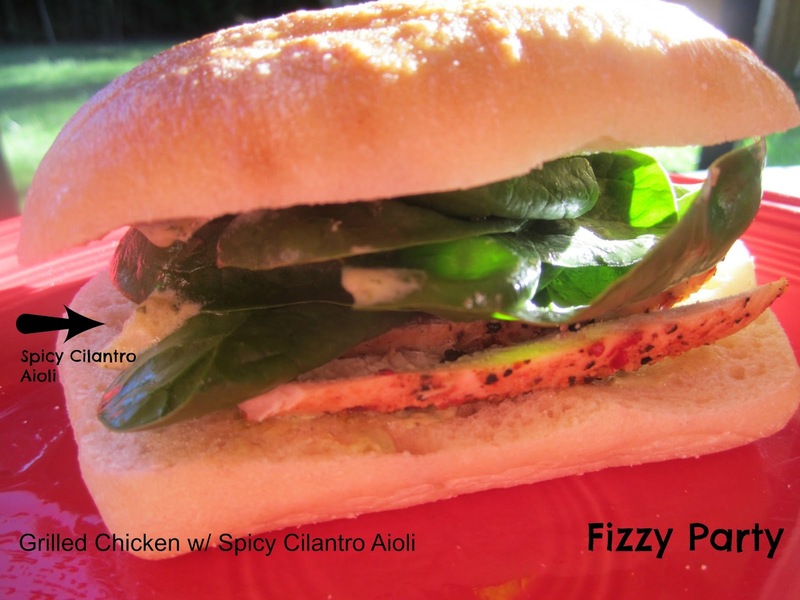 This is not what the recipe called for but it made for an extra tasty spicy sandwich. Good call honey. 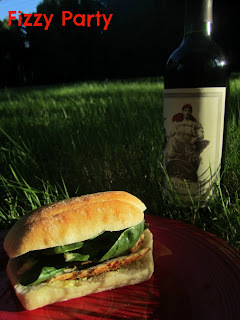 We enjoyed these sandwiches al fresco in our backyard. The spicy cilantro aioli added a kick to these sandwiches that I enjoyed. Read all the way to the bottom to find out why these were blinding good. Just why were these sandwiches blindingly good ? In the aioli recipe it calls for a jalapeno pepper. After prepping the pepper I washed my hands thoroughly with soap and water. I had an itch near my eye and AHHH, it burns IT BURNS!!! Run to the bathroom to try and wash it out. Nope, no way no how was my eye opening. It was clamped shut! I finally got enough water in there to wash it out and took out the contact. Scrubbed my hands, again, with soap and water and went to take out the other contact, AHHH, it burns IT BURNS!!!! rinse and repeat. I found out the next day that jalapeno oil doesn't really wash off with soap and water. You need milk or a lemon OR if you're smart about it, you'll just wear a glove. ARRRRRRG! Owie! I didn't realize it was BOTH eyes. I hope you're all healed up now. Yes, it was not a fun evening. Next time I have a jalapeno in my kitchen my brain will scream GLOVES! The day after my eyes were still a bit sore but by the afternoon they were calmed down.